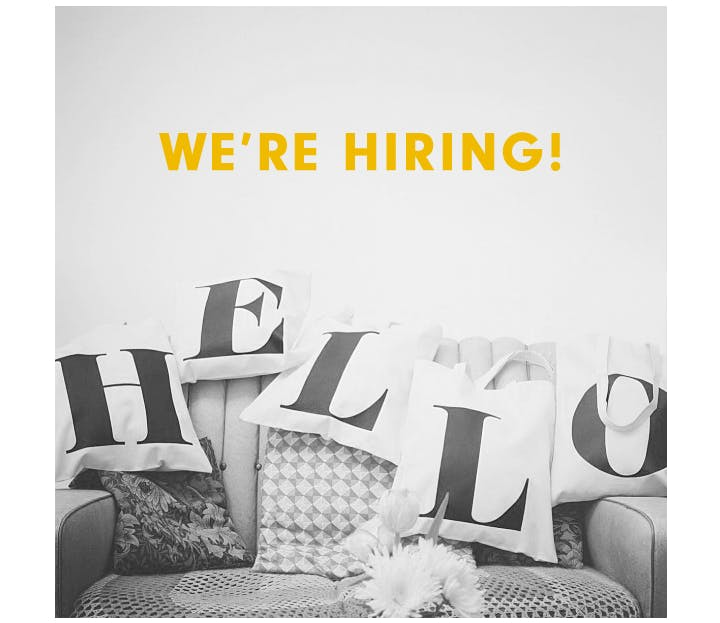 Home > Blog > Alphabet Bags is hiring! Wanted: Office assistant, order packer and all-round helper for our two brands: Alphabet Bags and Keep Calm Gallery. Where: At our (new) office a few miles south of Cambridge. When: From early October to late December, full time. Alphabet Bags (and our sister site Keep Calm Gallery) is looking for a lovely pair of helping hands! We are looking for somebody who can work with us on with a large range of day-to-day tasks to help us through our busy Autumn and Winter period. The position will be full time (Monday-Friday, 9am-5pm) for a temporary period, starting early October until late December 2012. There will also be the possibility for a permanent position or further temporary work after this period, to be discussed at a later date. Alphabet Bags (and Keep Calm Gallery) are two online brands run by husband and wife team Hayley & Lucas Lepola. It's been just the two of us for the last five years and it's about time we had your help! We are a hard working team with big ambitions for our brands and would love for someone with a real interest in what we do to help us out during our busiest time of the year. For more information about Alphabet bags click here. And for more information about Keep Calm Gallery click here. If all of the above sounds good to you we would love to hear from you! Please send us an email along with your CV to hello@alphabetbags.com. Thanks for reading!